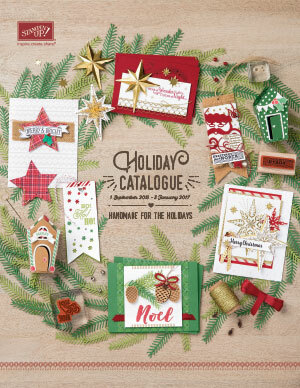 Spring is here and that means so is our new 2012-2013 Annual Catalogue and also the 2012-2013 Holiday Catalogue! They have so many beautiful NEW products in them it is hard to take it all in and then we have to decide what to order and if we can bear to not have any of them in the first order.!!! I know personally that I had a hard time deciding what to get and what to leave for a little while, bearing in mind that this catty will be with us for 10 months to bring it's distribution in line with the United States. The Holiday catty is here until 31st January. Remember, you can order from me at any time. 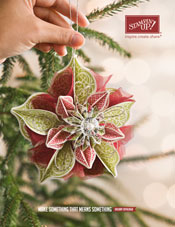 Don't you just love this gorgeous ornament on the cover? I can't wait to try making this, it is so pretty! I know there would be a few of you who would also like to have this either, gracing your tree, or, using it somewhere else in the house this Christmas. each to help cover the cost of the materials for these projects. I will provide the food, some bubbly, tea and coffee. Time: 11.00a.m. until whenever we finish! Now I am waiting for my order to arrive, and then I can begin to make and share my creations with you.